The new Nunatak Coffee shop in Beaver Dam, Wisconsin. Photos courtesy of Nunatak Coffee. 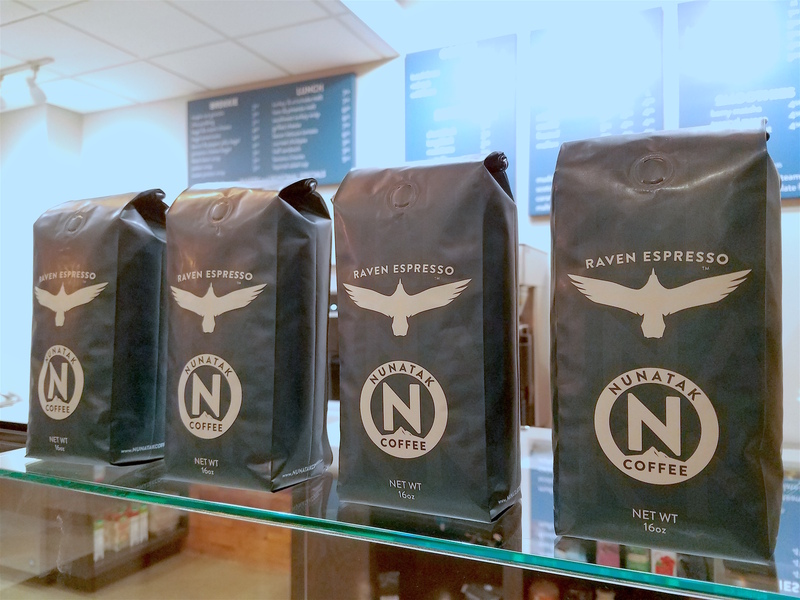 The owners of the roasting company Black Waters Coffee in Beaver Dam, Wisconsin, have charted a new course with the launch of Nunatak Coffee, which opened the doors to its first cafe this past March. Owners Josiah and Connie Vilmin are now rebranding Black Waters under the new moniker that is literally defined as a rocky mountain peak that overlooks a snowy expanse. Josiah Vilmin said that also defines their business ethos. The interior of the new 1,600-square-foot shop is indicative of this inspiration, with clean lines, a minimalist aesthetic and bright colors. The landmark, so to speak, inside the cafe is the coffee itself, roasted lightly and prepared carefully, while the health-conscious food items focus on fresh, local ingredients and are served in responsible portions. On the bar at Nunatak, espresso is ground in a Rancilio Kryo 65 OD grinder and extracted on a Rancilio Classe 9 espresso machine. Drip coffee is ground on a Mahlkonig EK43 and brewed in batches on Bunn equipment. 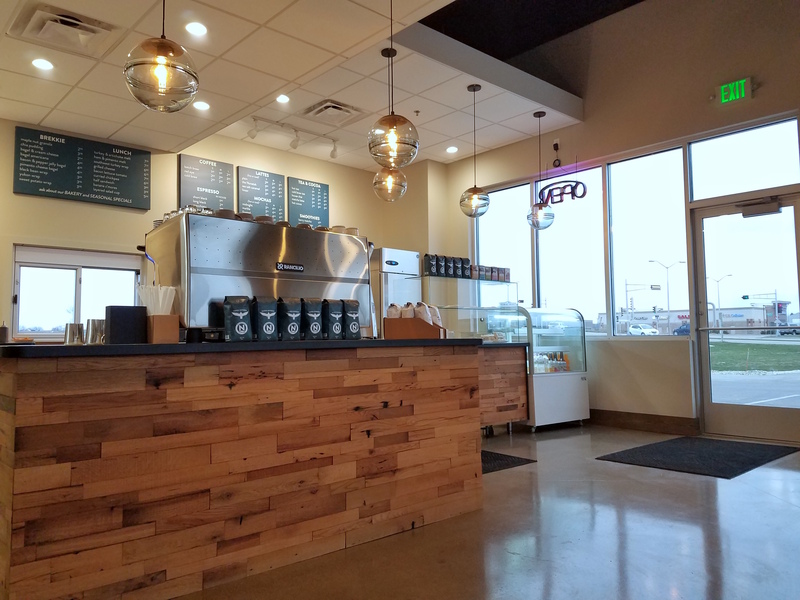 Roasting occurs off site, in a 7,000-square-foot facility that houses the company’s Diedrich IR-12 roaster, plenty of space for storage and offices, and a 1,500-square-foot commercial kitchen for baked and savory goods. The original Black Waters cafe remains at 308 S. Center Street. Under the Black Waters brand, the Vilmins had amassed a substantial wholesale business catering to convenience store and foodservice markets. As they shift now to higher-end coffees for the brick-and-mortar retail, they have sold the licensing rights to the Black Water brand to the larger Missouri-based wholesale coffee company Ronnoco Coffee, which will continue to produce and market the brand to gas stations, offices and foodservice outlets in the region. “We wanted to move in a more methodical, slow direction,” said Vilmin, who is still curating artwork and potted plants for the new cafe that opened its doors more than seven months ago. 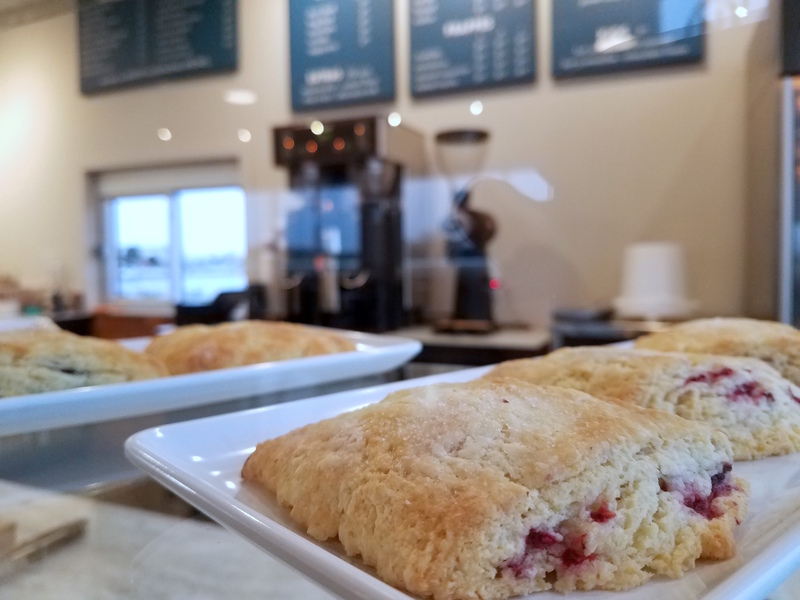 New Nunatak signage and menu offerings will be in place at Black Waters by the end of this year, and the company is also currently working on its third coffee shop. Nunatak meanwhile will also advance into the wholesale sphere as well but in a more targeted manner. Vilmin said wholesale will be available through Nunatak’s website, will be geared more towards smaller, independent cafes where quality is of primary concern. Nunatak Coffee is open now 201 Gateway Dr, #100, in Beaver Dam.